Behind every household name in the world of drinks is a thoroughly thought-out marketing campaign, and often enough, behind those marketing campaigns are true stories. 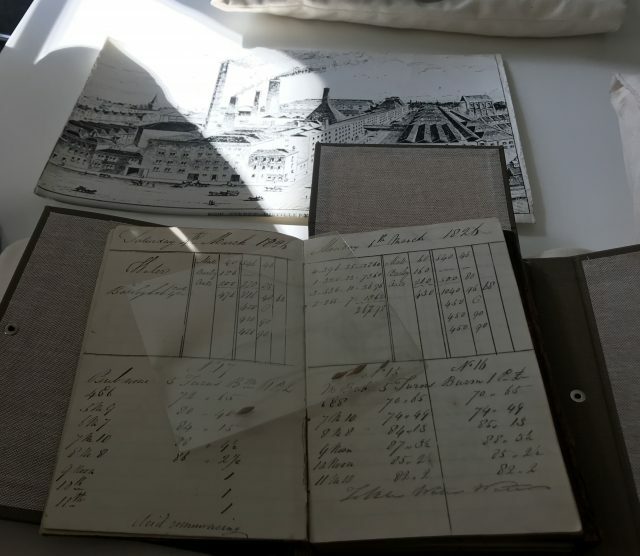 Distillers such as Jameson pour thousands into researching the history of their companies in the hope of finding past events, anecdotes or characters that bring their brands to life. Carol Quinn has one of the newest jobs in Irish Distillers. Based in the Distillers Cottage in Midleton, Quinn cares for the distilling company’s historical archive, scouring the records created by the firms of John Jameson & Son, John Power & Son and the Cork Distilleries Company and, after they merged in 1966, Irish Distillers itself, dating back to the eighteenth century. 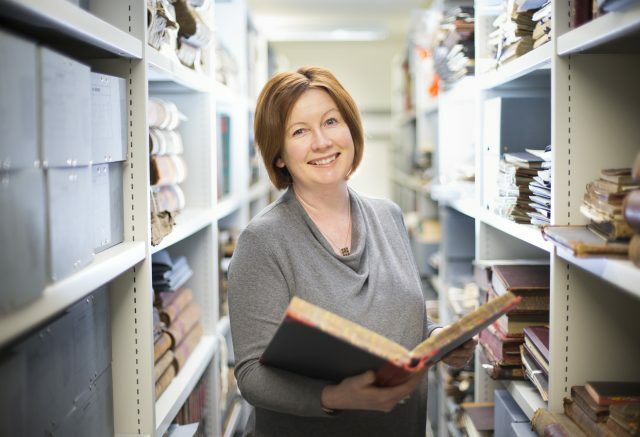 With university qualifications in History, Archaeology and Archival Studies and Administration, Carol worked for 16 years as an Archivist for University College Cork, before joining Irish Distillers in 2012. Quinn manages the physical housing and maintenance of the archives. Once they are cleaned and assessed, the historical artefacts, which include everything from employee sign-in/sign-out books, marketing materials and legal documents, are transferred to one of 5 purpose-built strong rooms in the repository. Carol’s job is then to alert colleagues to unusual or inetersting information in these records, and how it may be relevant to the current business workings of the company, whether that’s for product development or forming the basis of advertising campaigns that draw on ID’s history.